The Focke Wulf 190 was a single-seat, air-cooled radial-engine powered airplane used by a number of fighter wings of the Aces of Luftwaffe. The FW 190 Focke Wulf was modified many times to further improve its dogfight and precision capabilities during air raids by the Aces of Luftwaffe. Some improvements were the introduction of a more combat resistant engines, an air-cooled radial engine versus the traditional liquid-cooled. Lighter wings on the Focke Wulf 190 allowed this fighter aircraft to maneuver quickly without being impeded by heavy wings. 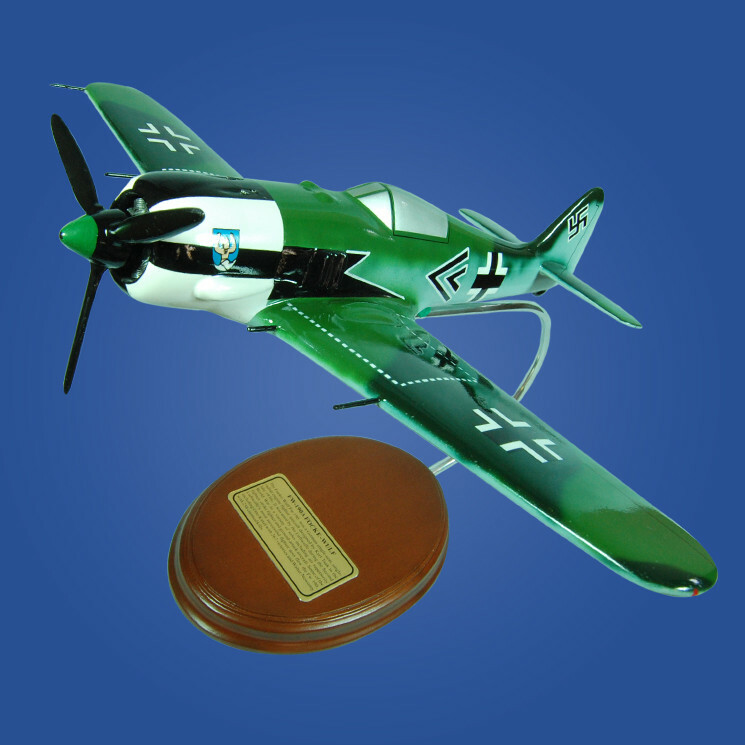 These improvements overtime made the FW 190 Focke Wulf a favorite among fighter wing pilots who it. Many of the FW 190 Focke Wulf after World War II have been retired in museums or owned by very rich individuals all over the world.